Should Cowboys Address TE Injuries and Inexperience With This FA? As impressive as the Dallas Cowboys win over the New Orleans Saints was, this is no time for them to get complacent. 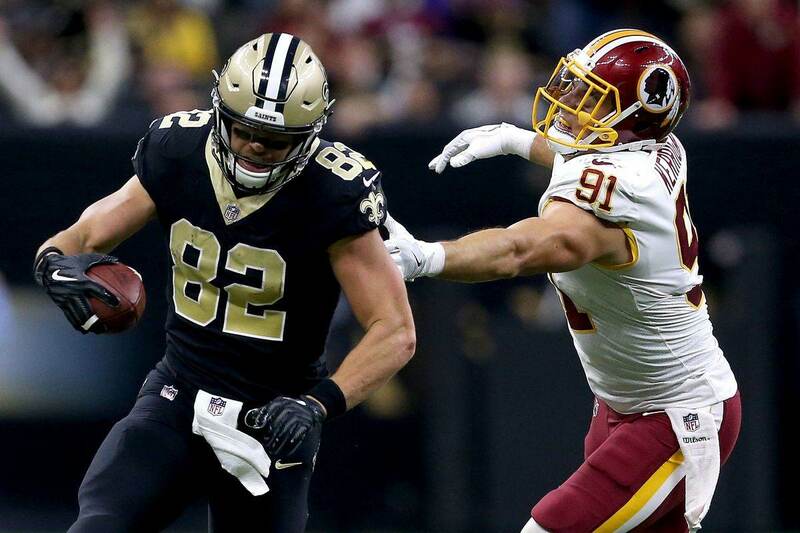 They still have several areas in which they can improve, which is why I think they should consider adding Free Agent Coby Fleener to help stabilize and upgrade the tight end position. The Dallas Cowboys chose to approach the tight end position much like they did at wide receiver at the beginning of the season. They hoped they could just throw some bodies out there and still get the same kind of production, but that the experiment has failed. The Cowboys were lucky enough to be up to make a move to improve the WR position by acquiring Amari Cooper via trade, and it's that kind of aggressive approach I believe they now need to apply to the TE position. That's especially true considering Geoff Swaim could be done for the year after sustaining a broken wrist, which required surgery, against the Atlanta Falcons a couple weeks ago. With Swaim out for an undisclosed amount of time, the Cowboys TE position is in dire straits if they have to rely on the inexperience of Blake Jarwin, Rico Gathers, and Dalton Schultz. None of the three are close to being the blocker or receiver Swaim is, and that alone should raise a red flag. Swaim's injury and the inexperience behind him on the TE depth chart has forced the Cowboys to turn to Wide Receiver Noah Brown as a "Light End" as my fellow Staff Writer John Williams has so eloquently entitled him. I'm a big fan of Brown's, but a tight end he is not. I think it's time the Cowboys make another bold move, much like they did by acquiring Amari Cooper and give Coby Fleener a call. At 30 years old, he should still have a few more years of tread left on the tires and would provide a really good short-term solution while the position sorts itself out. He hasn't played at all in 2018 after being released by the Saints, but he didn't have a terrible 2017 season before it was cut short due to concussion problems. Last year he delivered 631 yards receiving and three touchdowns with a catch percentage of 73.3%, which is production the Cowboys would love to be getting from their tight ends. Fleener could come in and not only mentor the youth movement, but also provide more-than-viable production for the remainder of the 2018 season and potentially 2019 as well. He's not going to cost a lot and would be that "transitional" veteran presence while the Cowboys figure out the long-term solution. Sounds like a win-win to me. I don't know if the Dallas Cowboys will agree, but this seems like a no-brainer to me. There is still a lot on the line these next few games and adding someone who is not only cost-effective, but an upgrade like Coby Fleener could pay dividends down the road. Now is not the time for complacency. The Cowboys must do everything within their power to keep improving and I believe adding Coby Fleener is a great start. Do you think the Dallas Cowboys should consider adding Coby Fleener? Eagles vs Redskins Tonight; What Outcome is Best for Cowboys? Ladies and gentlemen, welcome to Draft Day. One of the most wild days in the NFL calendar that surprises us year after year. Fake storylines and rumors fill our social media feeds, surprising trades ruin every Mock Draft available, and things that we believe to be true change at the last second. Of course, one of the most intriguing things to watch during the Draft is the search from a handful of teams for a franchise quarterback. While the Dallas Cowboys are worried about paying their guy, a couple of teams in their division are concerned about getting a quarterback for the future. The New York Giants should be ready to prepare for life after Eli Manning and the Washington Redskins need to find an exciting young player if they don't want to depend on Case Keenum and/or Colt McCoy. This year's QB class doesn't look as good as last year's, but there are a few intriguing prospects worth considering. Kyler Murray (Oklahoma) is expected to go to Arizona at the first pick but he isn't the only QB expected to be drafted in the first round. Dwayne Haskins (Ohio State), Drew Lock (Missouri) and Daniel Jones (Duke) have all made appearances in many first round mock drafts. So what could the Redskins and Giants do to change how the four starting quarterbacks of the division look like? Holding the sixth overall pick in today's NFL Draft, the Giants look like the perfect candidate to draft a quarterback. Last year, they had a similar opportunity sitting at number two but decided to go for the surefire prospect in RB Saquon Barkley. A year later, fans and analysts still question whether that was the right call or not. They took a top-tier player but didn't address the most important position in football. The bottom line is Barkley killed it in his first year in the NFL and even won the Offensive Rookie of the Year award. This year though, it could be time for them to stop passing on quarterbacks and take advantage of their position in the Draft. The name that's been the most linked to the Giants is Dwayne Haskins. Matt Miller from Bleacher Report has even said the Giants have done more work on him than any other team out there. A big surprise in the mock draft universe came a few days ago when Daniel Jeremiah mocked Daniel Jones at #6 to the Giants instead of Haskins. The Giants could not have an easy task ahead of them if they do want Haskins. 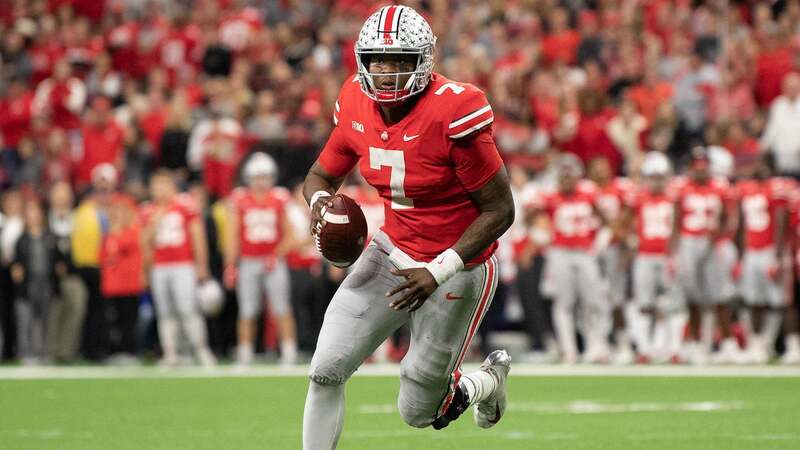 The Oakland Raiders at #4 are a threat to draft a QB along with many other teams that could be willing to trade up for the Ohio Sate product. Don't be surprised if the Giants need to move up to secure their guy. The question remains: Does Giants GM Dave Gettleman want to be aggressive and draft a signal-caller even with Eli Manning still playing? Some say he will, some say he won't. We'll have to wait and see. The Redskins are far more intriguing than the Giants. First of all, they hold the 15th pick. If they want to draft a first round quarterback, chances are they'll be forced to trade up. Although every year we think quarterbacks won't go early, there's a reason why most are taken by teams that traded up to get in position. Just talked to a Redskins source who told me Dan Snyder has "taken over the first round of the draft." The last time that happened the Redskins traded two future No. 1's and a No. 2 to move up for Robert Griffin. If the Raiders end up pulling a big-time trade during the Draft to get into the Top 5, we know what position they'll be looking at. Whether it's Haskins at the top of the round or Lock or Jones a bit later, make no mistake about it. The Redskins could be searching for a QB. Keenum isn't the answer and neither is McCoy. With Alex Smith's playing career being in question, looking for a quarterback only makes sense. Then there's Josh Rosen. Assuming the Cardinals do what has been expected all along and take Murray, Rosen is going to get traded. Both the Giants and the Redskins could be among the potential destinations for the 2018 first-round pick. The Philadelphia Eagles and the Dallas Cowboys are the favorites to be the contenders within the NFC East division. However, we can't ignore the fact that the Redskins were doing pretty well prior to Alex Smith's injury in 2018. The Giants didn't do well, but they've gone a long way in improving their offensive line and count with a great running back in Saquon. Both teams could look very different with a change at QB. If they do end up drafting a rookie QB or going after Josh Rosen, the NFC East QB picture could become one of the most intriguing and promising ones in the entire NFL. Then we'd be talking about one of the most competitive divisions in the league. Tell me what you think about "NFC East QB Picture Could Look Very Different After the Draft" in the comments below, or tweet me @MauNFL and let’s talk football! If you like football and are looking for a Dallas Cowboys show in Spanish, don’t miss my weekly Facebook Live! show, Primero Cowboys! The first round of the 2019 NFL Draft gets underway tonight. On ABC primetime this year, the draft is as popular and flashy as it ever has been. Thousands will watch the commissioner read names from a card Thursday night, but the Dallas Cowboys likely won't be involved whatsoever. And they're totally ok with that. The Cowboys, of course, used their 2019 first round pick on former Raiders wide receiver Amari Cooper. Cooper helped to awake an offense which had been abysmal prior to his arrival, opening up the passing offense and unlocking quarterback Dak Prescott's best abilities. Stephen Jones spoke to the Dallas Morning News this week, giving his reasoning for why he is comfortable with not having a first round pick this year. Of course, he's correct. At least partially. Dallas went 7-2 after the Amari Cooper trade, winning a home playoff game while Cooper put up dominating statistics. Cooper quickly became the Cowboys' most prolific target in the passing game and added an element they so dearly missed during the first half of 2018. Still, though, not having four (plus one) years of a first round pick on a rookie deal is never ideal. You'd like to have the chance to add that young talent on the cheap. Instead, the Cowboys will need to give Amari Cooper a big payday quickly. 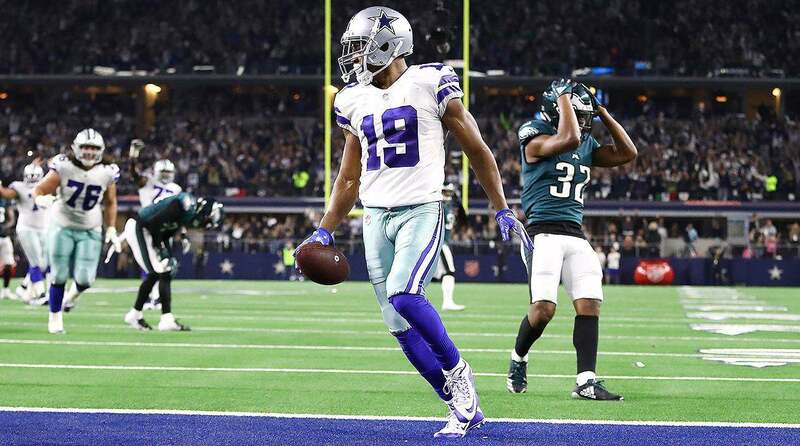 There's no debating that the Amari Cooper trade has been a success for the Dallas Cowboys, however. He's the undisputed WR1 in Dallas, and had instant chemistry with young quarterback Dak Prescott. You can't help but be excited to see how those two grow together moving forward. Dak and Zeke went viral again this week. Once again, together. 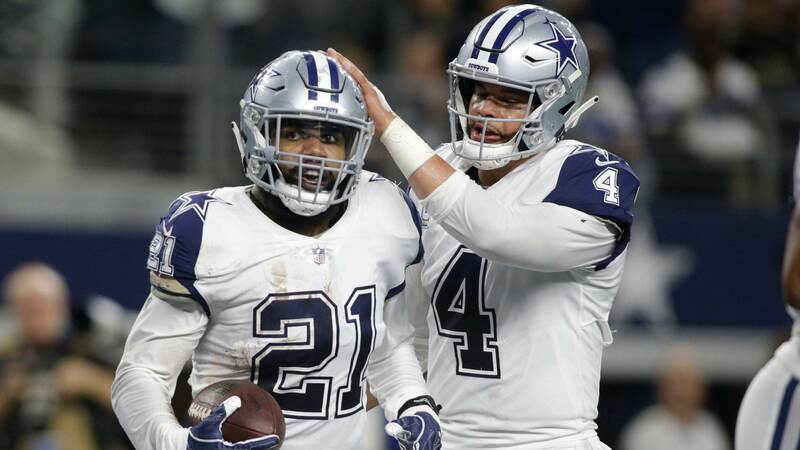 This time, the Cowboys franchise quarterback Dak Prescott was feeding his running back Ezekiel Elliott at a Dallas Stars playoff game, shoveling popcorn down the All Pro's mouth. It was yet another fun Twitter moment from the Cowboys' star backfield duo, as they have enjoyed more success in their first three seasons together than most fans ever could have imagined back in 2016. The honeymoon is just about over, though. It's year four for both Prescott and Elliott. Time to take the next step in the postseason and start competing for championships. This also means it's nearing contract time as well. Elliott knows he'll be a Cowboy for at least two more seasons. The front office picked up his fifth year option earlier this week, ensuring they'd have the elite-level running back through the 2020 season. Prescott's contract, on the other hand, currently expires after 2019. And despite all of the success he's had at quarterback during his young career, he's still on that fourth round salary. Both Jerry and Stephen Jones has made it known the Cowboys believe in Prescott moving forward. Both have repeatedly said he will be extended in the near future. And if all goes according to plan, Prescott will be the starting quarterback for the Dallas Cowboys for a very long time. They've also fully backed Elliott. And while just about no one would argue that Prescott is better at his position than Elliott is at his, his position is much less valuable to the offense. Yes, even to this offense. One which is predicated on running the football and controlling the clock. Quarterbacks are still king, and the money Prescott is set to receive proves that point even further. It's no secret these two players are great friends, and each heralded leaders in the Cowboys locker room. It would be a tall task for this front office to extend one, while bailing on the other. And by all accounts, the Cowboys have no plan on doing so. Prescott and Elliott seem like a package-deal in the Cowboys backfield. Quarterback and running back next to one another for as long as they are apart of America's Team.